Apple to Announce 12-inch MacBook Air on March 9th? According to the rumor, which appeared on the Internet earlier this week, at its “Spring Forward” event scheduled for March, 9th, Apple may announce not only the long-anticipated Apple Watch, but also its completely revamped 12-inch MacBook Air with Retina display. While there’s no confirmation from Apple or its suppliers, the March release looks quite possible. Earlier this year, a reliable KGI Securities analyst Ming-Chi Kuo claimed Apple may launch the new laptop in March. When taking these rumors into account, along with the fact that the MacBook Air is due for an update, the introduction of the Retina MacBook Air at Apple's March 9 event does seem like a possibility. It's also possible Apple will introduce new models of the existing 11 and 13-inch MacBook Air at the event -- the last update was in April and there was a rumor suggesting an update in February was imminent. 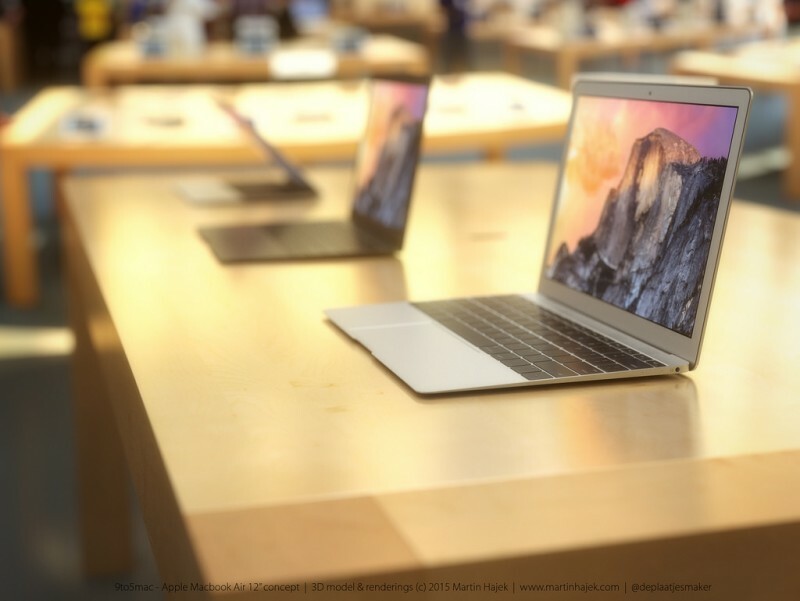 If to speak about the specs of the 12-inch MacBook Air, it is expected to get a new Core M processor, which will allow the laptop to come without a fan. Moreover, it will boast of new trackpad, resized keyboard, speakers above the keyboard, and, of course, Retina display. Other specs currently remain unknown. Do you think Apple will actually show us the new MacBook Air at the March 9th media event? Leave your comments below this short post.